"The murderer is with us-on the train now . 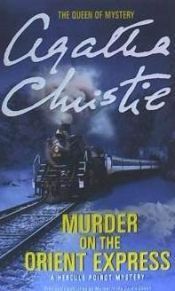 . ."
El autor de Murder on the Orient Express, con isbn 978-0-06-207350-1, es Agatha Christie, esta publicación tiene trescientas treinta y seis páginas. A facsimile first edition hardback of the Miss Marple books, published to mark the 75th anniversary of her first appearance and to celebrate her new-found success on television.